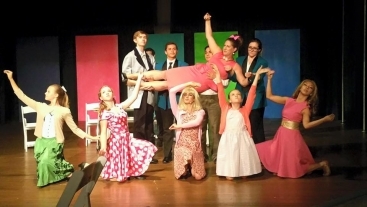 “HAIRSPRAY” SHINES IN PERFORMANCE OF "EPIC PROPORTIONS"
September 14, 2015 (La Mesa) - Visionary Community Theatre and Visionary Youth Theatre join together for an outreach program of epic proportions to present "Hairspray." What do you get when you mash up several high schools and a professional choreographer? Great dancing, singing, and acting. Read more about “HAIRSPRAY” SHINES IN PERFORMANCE OF "EPIC PROPORTIONS"